2 Bedroom Flat For Sale in Halifax for Offers Over £80,000. 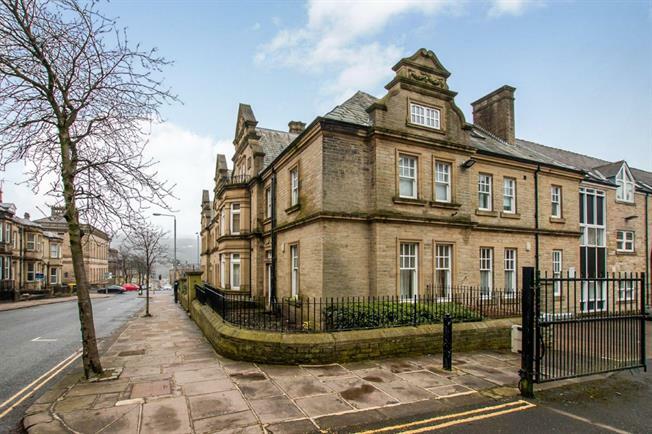 Bridgfords is proud to offer this beautiful 2 bedroom, duplex apartment boasting a superb mix of character and contemporary positioned on the edge of Halifax town centre in the prestigious Clare Court development. Briefly, the property comprises 2 good size bedrooms, a large kitchen diner, WC, generous lounge and family bathroom. Externally the property benefits from secure allocated parking and intercom entry system. This property would make a perfect first time buyers home or would have genuine appeal to any investors looking to add to their property portfolio. An internal inspection is essential in order to truly appreciate this property's potential.